My Tent or Yours is clearly a worthy favourite in this and could be very good indeed. He's absolutely miles clear on Timeform ratings (significantly more than Sprinter Sacre against his rivals in the Queen Mother at 1/4). You could therefore argue that 7/4 is a decent price. The difference here is, of course, that this race has a number of unexposed horses running who could be as good or even better than My Tent or Yours. If you have a look at the horses that have run in this race in recent years you'll see some very smart horses have taken part and not won. Horses like Sprinter Sacre, Darlan and Oscar Whiskey. You'll notice they were also all trained by Nicky Henderson. It would be very unusual if there wasn't a horse or two in this able to challenge My Tent or Yours and as this is the first race of the festival it's best not to get too involved. The Irish challenge this year looks particularly strong and they've won five out of the last ten renewals. 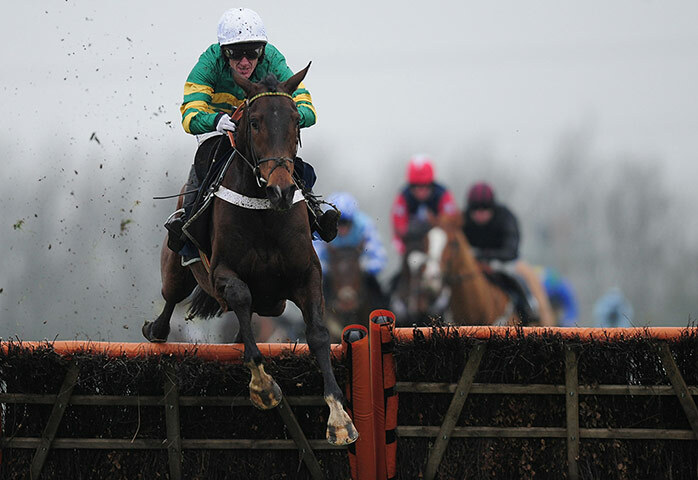 Jezki has won two Grade 1's and has a good chance but I prefer the chances of Un Atout at a bigger price of 7/1. He's absolutely hacked up in two races this season and whilst these races were of lower quality he beat Art of Logistics easily who came out and beat Waaheb next time. You shouldn't read too much into collateral form but it does put him well up there with Jezki. Dodging Bullets deserves a mention; beaten 7 lengths by Darlan last time and previously beating River Maigue giving weight away are smart performances. I think he'll run a good race but he looks a little exposed and it's difficult to see him improving as much as some of the others. Puffin Billy travels really well in his races but had a slight tendency to jump out his right in his last race; that won't help round Cheltenham although it could be because he was carrying an injury last time. 14/1 is a tempting price. William Hill are paying out 5 places ew. How Do I Use William Hill's C50 Promotion? This looks like a two horse race between Simonsig and Overturn. Overturn was very high class on the flat and over hurdles and won his chases well. It's fair to say those chases were at a much lower level than Simonsig who's won a couple of Grade 2's. Simonsig has generally raced over further and you can argue that Overturn might be too speedy for him. Simonsig has a high cruising speed and I can see Overturn setting up the race for him. Overturn will also have soft ground to contend with which he has avoided for most of his career (only raced on it four times). Arvika Ligeonniere is a front runner who jumps to the right and fell last time. He and Overturn will battle for the lead and Simonsig should cruise past them without too much trouble. None of the other horses in the race are likely to get a look in. Ladbrokes are giving you your money back, up to £25, as a free bet if Simonsig loses. Simonsig is unbeaten in his last five races and is taken to extend that to six today. I thought Midnight Chase represented a good chance on Good ground but now the rain has come I'll have to look elsewhere. Fruity O'Rooney acts on the track, goes on any ground and never runs a bad race. His mark of 139 is the same as his second here back in January and we should get a decent run for our money. His price has contracted somewhat in the last few days but 10/1 is a reasonable price. Ran well after making a terrible mistake. I would like to thank Sean Kelsey for his superb analysis, the author of this post.